Key words when looking at the landscape work are: the sublime, internal terrain, elision, fear, darkness, constructed landscapes, aesthetic hyper reality, unreachable worlds, presence and absence, layering, pigment prints. There is a heavy sense of un/reality about all of the landscape work, as though there is no such thing as the unmediated, straight landscape photograph any more. Reality passes (passing itself off for something else), and the viewer is left to tease out what is constructed (or not), how many layers (both mental and physical) are involved, and what the possible outcomes might be. 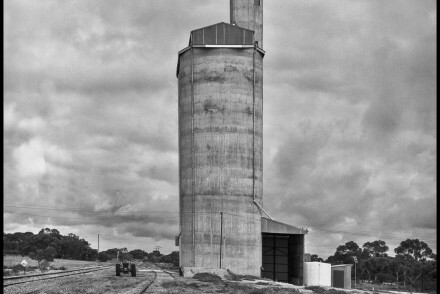 In this post-landscape photography even straight digital photographs or analogue photographs of the landscape take on this desiccated view complete with surface flatness and “air” of unreality. He adds that there is no link to traditional notions of the sublime and little connection to the elemental (as in the object as itself) and that these photographs are all about the photographer’s ideas and desires, not about the world itself. I didn’t see the works in the exhibition in the flesh so I am not sure how these photographs in post-colonial Australia relate to Australia’s origins as a British colony in which the settles views the land as a foreign landscape that the settlers sought to “civilize” and alter in the image of Britain as part of the colonizing project. The history was one of an abrupt encounter between Europeans and a harsh and strange landscape, which created a sense of derangement and disorientation that lingers in contemporary visions of the land and nature. So the landscape is also a textual space and a text, a site of myth making and the product of myth. The settler’s Outback as a space away from settlement, a wilderness that was feared; a space with a history of violence. It is a fearful and dangerous place. Myth is intrinsic to the Outback. 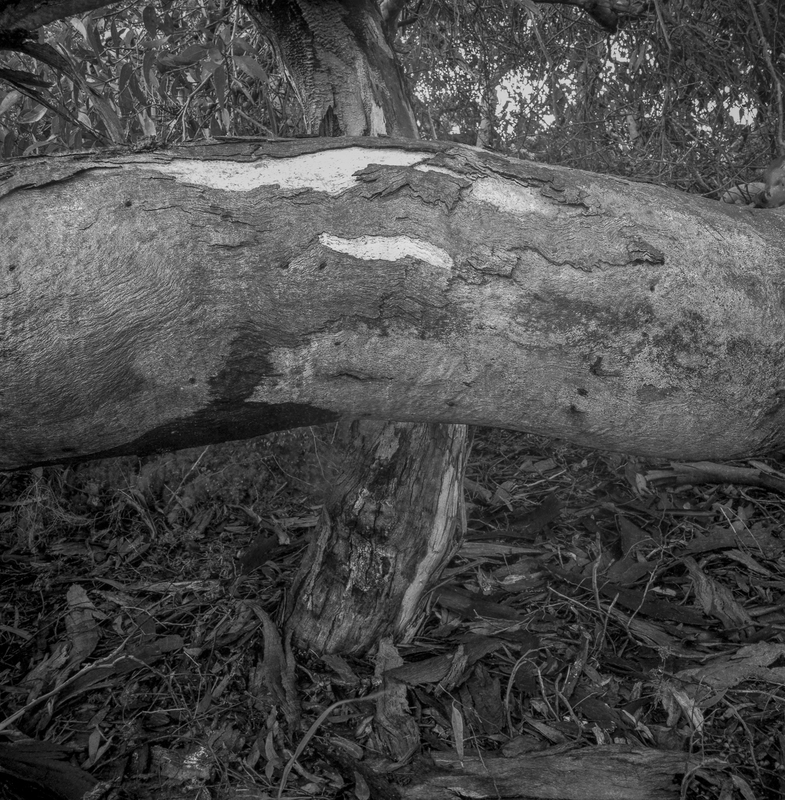 Since we have shifted to live at Victor Harbour, I now live near bits of native scrub/bush along the heavily developed coast and I have been slowly photographing the remnants of the native scrub in both colour and black and white. The land looms large in white Australia culture and I wan too know more about the place where I live. The black and white is quite different in tone and mood to the colour work: its dark and it points towards dark places that conceal the unknown and which cause us to be fearful. This is also a landscape that is tangled in a history that holds both a presence and an absence, a knowledge and yet a denial of past colonial deeds. 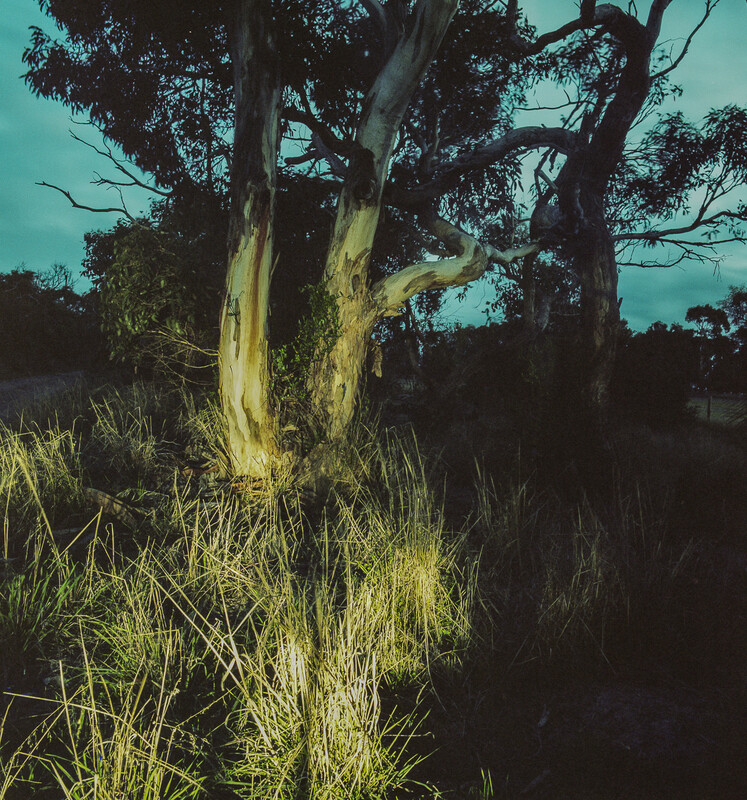 The landscape + darkness go together in Australia. The darkness is related to the business of empire and its mode of resource control, imported diseases, destruction of wildlife and wildlife habitats which deprived the invaded indigenous communities of their primary means of subsistence; the importation of sheep and cattle and European agricultural practices that replaced local hunting and gathering and so caused damage to established ecosystems and reducing soil fertility. The dispossessed faced poverty, illness and starvation. Imperialism, in relation to the landscape, understood itself to be an expansion of landscape, understood as the inevitable progressive development in history, the expansion of culture and civilisation into a natural space in a progress that is narrated as natural. The Empire moves outward space as a way of moving forward in time, and the prospect that opens up is not just an empty spatial scene, but a projected future of development and exploitation. This is a linear narrative in which the violent historical moment of encounter will be overcome by civilisation. This history suggests that the Australian landscape is not merely a natural topography as it is also a cultural interpretation: a way of looking at a terrain. It is imagined as the grotesque and the desolate rather than the beautiful and the tranquil.It is a threatening landscape that is also a psycho-symbolic space, which is densely layered with feelings of dread, the uncanny, existential angst in the European mind, and is also inflected with a gendered vision of the land. The Australian interior has functioned in the national imaginary as either a hideous absence, a meaningless, dangerous void, or as a source of spiritual rejuvenation, the locus of the “true” Australian self for alienated suburbanites.